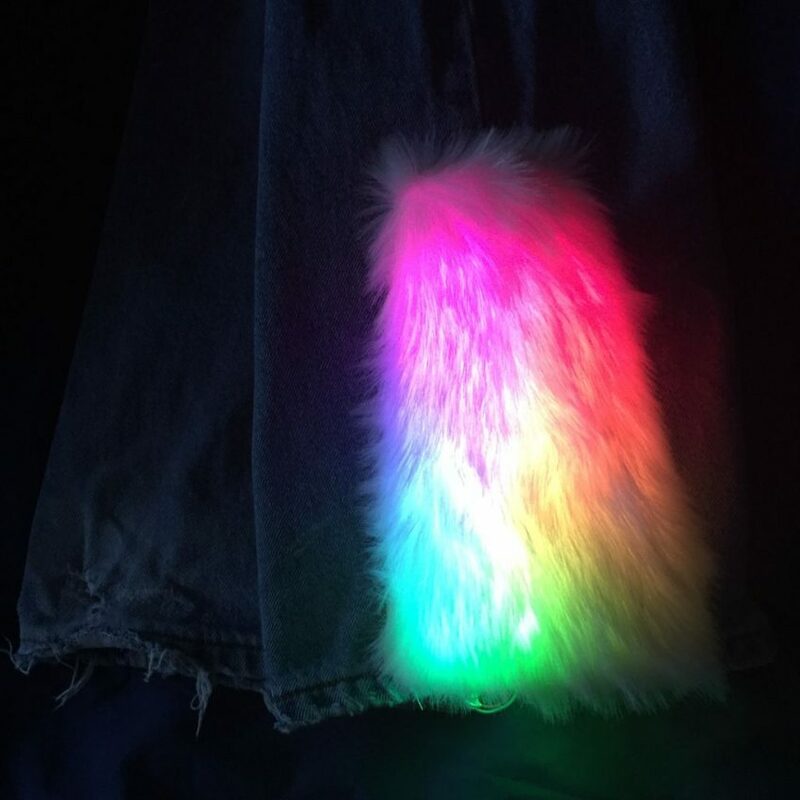 How to Make LED Jeans That Inspire Love #WearableWednesday « Adafruit Industries – Makers, hackers, artists, designers and engineers! You’ve probably been wondering how to share your rainbow support and bring peace to the world, well here it is—NeoPixel Rainbow Flare Jeans! I have to say that caitlinsdad is just showering us with his good work in the last few weeks and you should definitely check out his Instructable for all the details. 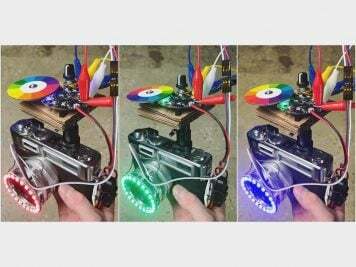 This is a fun beginner project that will introduce you to NeoPixels and one of our popular stitchable microcontrollers. Check out the shimmering rainbow results. To get this look you’ll need faux fur, fiberfill batting (to sandwich between fabric for diffusion) and some backing fabric to hold the parts. 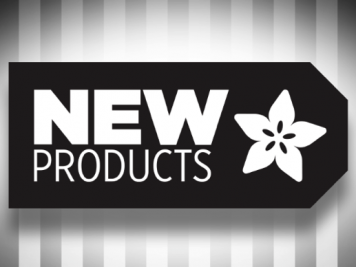 On the tech side, you’ll need a FLORA or GEMMA microcontroller, a piece of our NeoPixel LED strip, a LiPo battery or a battery pack and some silicone wire. 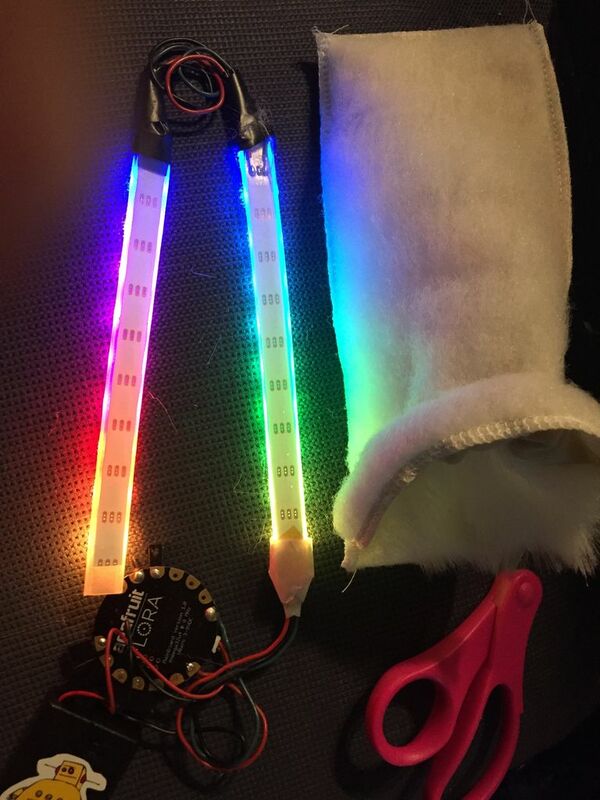 caitlinsdad had two spare lengths of NeoPixel strip, so he wired them together to look like one; it’s even less soldering with one strip. The rainbow bright code is already ready to go in the Adafruit NeoPixel Library and it’s called StrandTest. What a great hack! 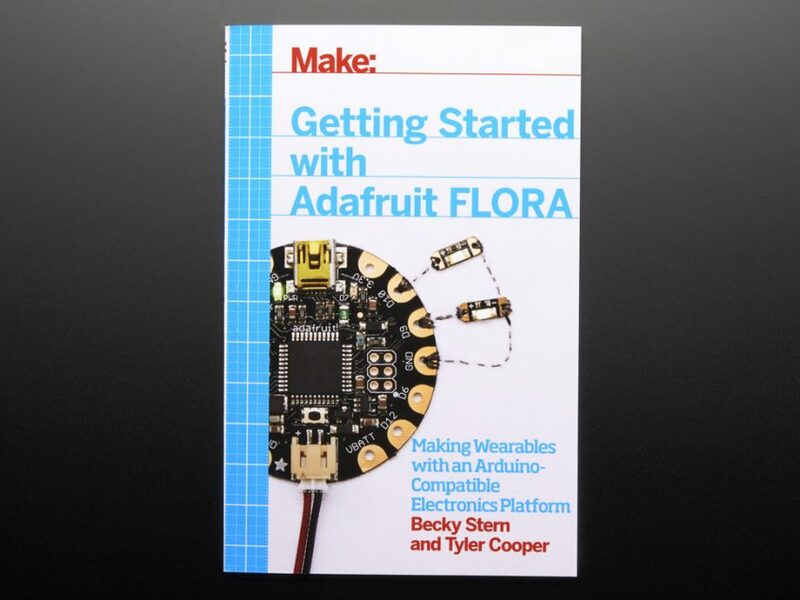 If you are new to fashion tech, the easiest way to learn about microcontrollers and blinky stuff is with our book Getting Started with Adafruit FLORA. 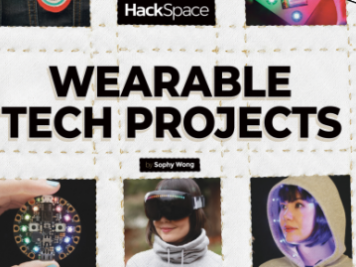 It’s written with easy-to-understand language; you don’t need to know programming to do these wearable projects. 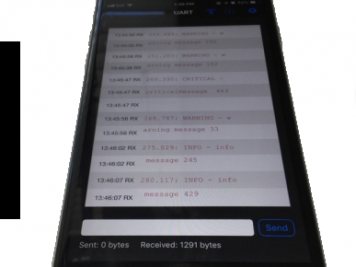 On the flip side, by doing this work you will get an understanding of code, LEDs and sensors. In fact, you might end up like me and find yourself totally in love with the creativity of tech. 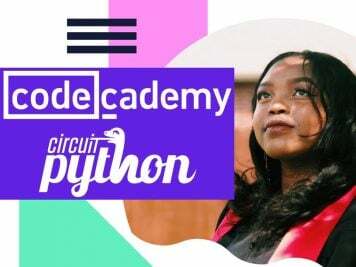 So, start learning now and not only will you make things that can bring attention to a cause, but you might also find yourself on the path for a new career. That’s what I call an epic adventure.